There is a “right program” for every mortgage borrower, but for many, the VA loan stands apart for its combination of low rates, lenient underwriting, and secondary benefits. The VA loan asks for no down payment, requires no mortgage insurance, allows flexible guidelines for qualification among its many other advantages. VA loan eligibility. Contrary to popular belief, VA loans are available not only to veterans, but also other classes of military personnel. The list of eligible VA borrowers includes active-duty servicepersons, members of the National Guard, Reservists, surviving spouses of veterans, cadets at the U.S. Military, Air Force or Coast Guard Academy, midshipmen at the U.S. Naval Academy and officers at the National Oceanic & Atmospheric Administration. A minimum term of service is typically required. Houses you can buy with a VA loan. A VA loan can be used to buy a detached house, condo, new-built home, manufactured home or duplex, triplex or four-unit property or to refinance an existing loan for those types of properties. You can also borrow extra money to make repairs or improvements to the home; or, make it more energy efficient. VA loans in foreign countries. You cannot use a VA loan to buy a home in a foreign country. You are only permitted to purchase homes located in the United States or a U.S. territory or possession, such as Puerto Rico, Guam or the U.S. Virgin Islands. VA loans and rental properties. You cannot use a VA loan to buy a rental property. You can, however, use a VA loan to refinance an existing rental home you once occupied as a primary home. For home purchases, in order to obtain a VA loan, you must certify that you intend to occupy the home as your principal residence. If the property is a duplex, triplex or four-unit apartment building, you must occupy one of the units yourself. The exception to this rule is via the VA’s Interest Rate Reduction Refinance Loan (IRRRL). This loan, also known as the VA Streamline Refinance, can be used to refinance an existing VA loan for a home where you currently live or where you used to live, but no longer do. VA loans and second homes. Federal regulations do limit loans guaranteed by the Department of Veterans Affairs to “primary residences” only, however, “primary residence” is defined as the home in which you live “most of the year.” Therefore, if you own an out-of-state residence in which you live for more than 6 months of the year, this other home, whether it’s your vacation home or retirement property, becomes your official “primary residence”. For this reason, VA loans are popular among aging military borrowers. How to demonstrate eligibility. In order to show a VA mortgage lender that you are VA-eligible, you’ll need a Certificate of Eligibility (COE), which your lender can acquire for you online, usually in a matter of seconds. The IRRRL is again an exception. For that loan, you won’t need a COE at all. You’ll also need to meet standard VA loan requirements including income and employment verifications, and residual income requirements. About the COE. Does a Certificate of Eligibility (COE) mean you are guaranteed a VA loan? No, having a COE doesn’t guarantee a VA loan approval. Your COE shows the lender you’re eligible for a VA loan, but no one is “guaranteed” VA loan approval. You must still qualify for the loan based on VA mortgage guidelines. The “guarantee” part of the VA loan refers to the VA’s promise to the lender of repayment if the borrower defaults. Getting a VA loan without perfect credit. You can get a VA loan even without “perfect credit”. Many lenders use aggressive underwriting to help people who are VA-eligible receive loan approval, so you don’t need perfect credit or a high credit score to qualify. If you have at least a middling credit score plus a history of paying your bills on time, you should apply for a VA loan. VA minimum credit score: VA does not set a minimum score, but most lenders will require a score of 620 or higher. However, some lender may allow lower scores, so apply with many lenders. VA loans after you’ve been denied. You can get a VA loan even if you’ve been denied for other financing. Because the VA loan offers such flexible guidelines, you might be able to qualify even if you’ve been turned down for another type of home loan, including the FHA loan, a Conventional 97 mortgage, or some other type of credit. Your eligibility never expires. Veterans who earned their benefit in long ago are still using their benefit to buy homes. Part of applying for VA home loans is documenting your eligibility. This is very easy to do in most cases — simply have your lender order your COE through the VA’s automated Web LGY or Automated Certificate of Eligibility (ACE) system. Any VA-approved lender has access to these systems. Alternatively, you can order your certificate yourself through the VA benefits portal. If the online system is unable to issue your COE, you’ll need to provide your DD-214 form to your lender or the VA.
VA mortgage underwriters evaluate your credit history, debt, income and assets. Here are some thresholds to be aware of. The VA has established no minimum credit score for a VA mortgage. However, many VA mortgage lenders require minimum FICO scores in the low- to mid-600s. Even VA lenders that allow lower credit scores don’t accept subprime credit. VA underwriting guidelines state that applicants must have paid their obligations on time for at least the most recent 12 months to be considered satisfactory credit risks. The VA usually requires a two-year waiting period following a Chapter 7 bankruptcy or foreclosure before it will insure a loan, and borrowers in Chapter 13 must have made at least 12 on-time payments and secure the approval of the bankruptcy court. The relationship of your debts and your income is called your debt-to-income ratio, or DTI. VA underwriters divide your monthly debts (car payments, credit cards and other accounts, plus your proposed housing expense) by your gross (before-tax) income to come up with this figure. For instance, if your gross income is $4,000 per month, your new mortgage, property taxes and homeowners insurance, plus other debt payments total is $1,500, your DTI is 37.5 percent. A DTI over 41 percent means the lender has to apply additional formulas to see if you qualify under residual income guidelines. VA underwriters perform additional calculations which can affect your mortgage approval. Think of the residual income calculation as a real-world simulation of your living expenses. It is the VA’s best effort at ensuring you a stress-free homeownership experience. This leaves a residual income calculation of $1,220. You can qualify for this type of financing even if you have a part-time job or multiple jobs. You must show a 2-year history of making consistent part-time income, and stability in the number of hours worked. The lender will make sure any income received appears stable. See our complete guide on getting a VA loan with part-time income. The VA charges an up-front fee to defray the costs of the program and make it sustainable for the future. Veterans pay a lump sum that varies depending on the loan purpose, the veteran’s military experience, and down payment amount. The fee is normally wrapped into the loan; it does not add to the cash needed to close the loan. Note that not all veterans pay the funding fee. Veterans receiving compensation for a service-connected disability are exempt, as are surviving spouses of veterans killed or missing in action. In more than 200 additional counties, 2019 VA mortgage limits are considerably higher. For a single-family dwelling, VA loans may be 100 percent guaranteed up to $726,525 in these places. Finally, some locations in Hawaii enjoy even higher VA limits. Sometimes, the Department of Veterans Affairs’ extended loan limits will be too low to help you purchase your home with no money down. That’s okay. You can make a small down payment to increase the maximum VA loan. Let’s say you wanted to buy a home in a county with a VA loan limit of $650,000. The home you want to purchase, though, costs $750,000. In order to use your VA benefits, you would only need to make a down payment of 25% of the difference between the home price and VA loan limit. This means that, with a down payment of $25,000, you can buy your home with a VA loan and get great, low mortgage rates with no accompanying mortgage insurance whatsoever. The same principle applies to any overage amount. For instance, you can buy a $1 million home where the VA loan limit is $500,000. You would just need a down payment of 25% of the difference. VA loans allow you to buy a duplex, triplex, or four-plex with 100% financing. You must live in one of the units. Higher loan limits are not available for multi-unit homes as they are with conventional loans. Following are conventional loan limits for 1-4 unit homes. Keep in mind, though, that you can finance a higher loan amount in high-cost areas. Check current VA loan limits for your area here. Buying a home with more than one unit can be challenging. Mortgage lenders consider these properties riskier to finance than tradition single-family residences, or SFRs, so you’ll need to be a stronger borrower. VA underwriters must make sure that you will have enough emergency savings, or reserves, after closing on your house. That’s to ensure you’ll have money to pay your mortgage even if a tenant fails to pay rent or moves out. The minimum needed after closing is six months of mortgage payments (covering principal, interest, taxes, and insurance – PITI). Your lender will also want to know about previous landlord experience you’ve had, or any experience with property maintenance or renting. If you don’t have any, you may be able to sidestep that issue by hiring a property management company, but that’s really up to the individual lender. Your lender will look at the income (or potential income) of the rental units, using either existing rental agreements or an appraiser’s opinion of what the units should fetch. They’ll usually take 75 percent of that amount to offset your mortgage payment when calculating your monthly expenses. The VA maintains a list of approved condo projects within which you may purchase a unit with a VA loan. At VA’s website, you can search for the thousands of approved condominium complexes across the U.S. If you are VA-eligible and in the market for a condo, make sure the unit you’re interested in is approved. As a buyer, you are probably not able to get the complex approved. That’s up to the management company or homeowner’s association. If a condo you like is not approved, you must use other financing like an FHA or conventional loan or find another property. Related: Complete guide to financing a condo purchase. Note that the condo must meet FHA or conventional guidelines if you want to use those types of financing. The U.S. Department of Veterans Affairs, or VA, provides home retention assistance. They intervene when a veteran is having trouble making their home payments. The VA works with loan servicers to offer options to the veteran other than foreclosure. Each year, VA publishes benefit insights in its Home Loan Guaranty report. In fiscal year 2015, VA made over half a million contact actions to reach borrowers and loan servicers. The intent was to work out a mutually agreeable repayment option for both parties. More than 90,000 veteran homeowners avoided foreclosure in 2015 alone thanks to this effort. More than three hundred thousand current and former service members have kept their homes since 2012. The initiative has saved the taxpayer an estimated $10 billion. More important, vast numbers of veterans got another chance at homeownership. Foreclosure avoidance efforts by the VA do not go unrecognized by banks. The VA loan is viewed as one of the lowest-risk mortgage types available on the market. This safety allows banks to lend to veteran borrowers at extremely low rates. VA rates are more than 25 basis points (0.25%) lower than conventional rates on average, according to data collected by mortgage software company Ellie Mae. Most loan programs require higher down payment and credit scores than does the VA home loan. In the open market, a VA loan should carry a higher rate due to more lenient lending guidelines and higher perceived risk. Yet the result of the Veterans Affairs efforts to keep veterans in their homes means lower risk for banks and lower borrowing costs for eligible veterans. 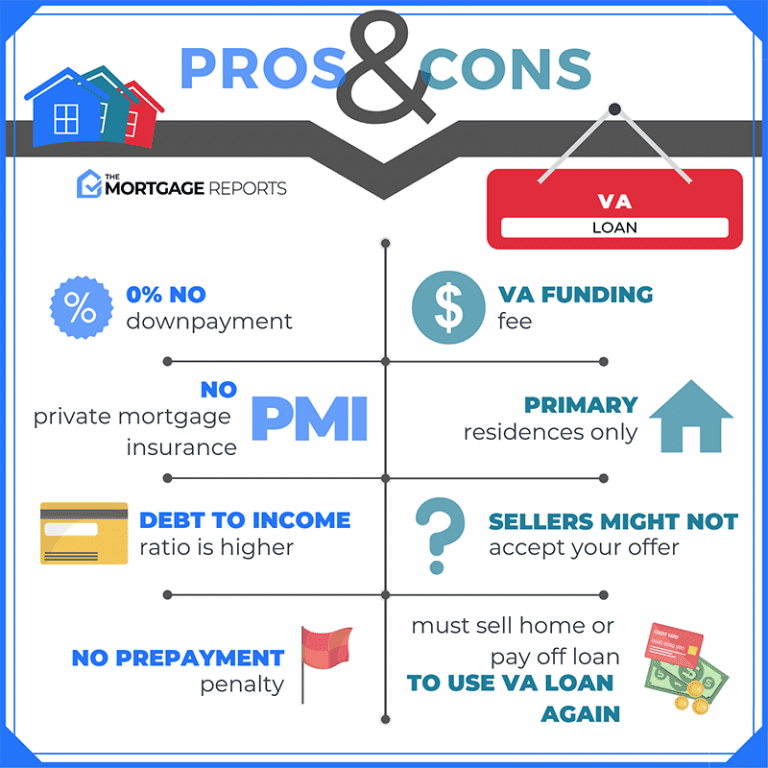 The following are reasons you might choose financing other than VA.
A primary advantage to VA home loans is the lack of a mortgage insurance requirement. However, the VA guarantee does not come free of charge. Borrowers pay an upfront funding fee, which they usually choose to add to their loan amount. 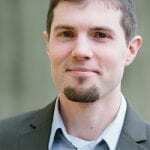 The fee ranges from 1.25 to 3.3 percent, depending on the buyer’s military status, the down payment percentage and whether the home buyer has previously used his or her VA mortgage eligibility. The most common fee is 2.15 percent. On a $200,000 purchase, it equals $4,300. However, buyers who choose a conventional (non-government-backed) mortgage, and put 20 percent down, avoid mortgage insurance and the upfront fee. For these military home buyers, the VA funding fee might be an unnecessary expense. The exception: Mortgage applicants whose credit rating or income meets VA guidelines but not those of conventional mortgages may still opt for VA.
To qualify for a VA loan, you must prove that you have made good on previous government-backed debts and that you have paid taxes. The Credit Alert Verification Reporting System, or “CAIVRS,” is a database of consumers who have defaulted on government obligations. These individuals are not eligible for a VA home loan. Veterans often apply to buy a home with a non-veteran who is not their spouse. This is okay. However, it might not be their best choice. As the veteran, your income must cover your half of the loan payment. The non-veteran’s income cannot be used to compensate for the veteran’s insufficient income. Plus, when a non-veteran owns half the loan, the VA only guarantees half that amount. The lender will require a 12.5 percent down payment for the non-guaranteed portion. The Conventional 97 mortgage, on the other hand, allows down payments as low as three percent. Another low-down payment mortgage option is the FHA home loan, for which 3.5 percent down is acceptable. Related: What’s better, FHA or VA financing? The USDA home loan is another option that requires zero down payment and offers VA-similar rates. The property must be within USDA-eligible areas, but there is no requirement for any applicant to have military experience. If you plan to borrow with a non-veteran, one of these loan types might be your better choice. In community property states, VA lenders must consider the credit rating and financial obligations of your spouse. This rule applies even if he or she will not be on the home’s title or even on the mortgage. Such states are as follows. A spouse with less-than-perfect credit or who owes alimony, child support, or other maintenance can make your VA approval more challenging. Apply for a conventional loan if you qualify for the mortgage by yourself. The spouse’s financial history and status need not be considered if he or she is not on the loan application. The purpose of VA financing is to help veterans and active service members buy and live in their own home. They are not meant to build real estate portfolios. These loans are for primary residences only, so if you want a ski cabin or rental, you’ll have to get a conventional loan. The VA loan was not meant for extravagant home purchases. Still, it can be used to purchase a home above VA loan limits. There are no limits to the size of mortgage a lender can approve. But the veteran must come up with a down payment equal to 25% of the overage, for any loan size above published VA limits. What if the service member passes away before he or she uses the benefit? Eligibility passes to an un-remarried spouse, in many cases. Also eligible are remarried spouses who married after the age of 57, on or after December 16, 2003. In these cases, the surviving spouse can use VA loan eligibility to buy a home with zero down payment, just as the veteran would have. These spouses have an additional benefit, however. They are exempt from the VA funding fee. As a result, their loan balance and monthly payment will be lower. Surviving spouses are also eligible for a VA streamline refinance when they meet the following guidelines. A VA streamline refinance is typically not available when the deceased veteran was the only one of the original VA loan, even if he or she got married after buying the home. In this case, the surviving spouse would need to qualify for a non-VA refinance, or a VA cash-out loan. A cash-out mortgage through VA requires the spouse to meet home purchase eligibility requirements. If this is the case, the surviving spouse can tap into the home’s equity to raise cash for any purpose, or even pay off an FHA or conventional loan to eliminate mortgage insurance. Buying a home after a divorce is no easy task. If, prior to your divorce, you lived in a two-income household, you now have less spending power and a reduced monthly income for purposes of your VA home loan application. With less income, it can be harder to meet the VA Home Loan Guaranty’s debt-to-income (DTI) guidelines; and, the VA residual income requirement for your area. Receiving alimony or child support can counter-act a loss of income. Mortgage lenders will not require you to provide information about your divorce agreement’s alimony or child support terms, but if you’re willing to disclose, it can count toward qualifying for a home loan. Different approved-VA lenders will treat alimony and child support income differently. Typically, you will be asked to provide a copy of your divorce settlement or other court paperwork to support the alimony and child support payments. Lenders will then want to see that the payments are stable, reliable, and likely to continue for another 36 months, at least. You may also be asked to show proof that alimony and child support payments have been made in the past reliably, so that the lender may use the income as part of your VA loan application. If you are the payor of alimony and child support payments, your debt-to-income ratio cane harmed. Not only might you be losing the second income of your dual-income households, but you’re making additional payments which count against your outflows. VA mortgage lenders make careful calculations with respect to such payments. You can still get approved for a VA loan while making such payments — it’s just more difficult to show sufficient monthly income. When you assume a mortgage loan, you take over the current homeowner’s monthly payment. Buying a home via an assumable mortgage loan is even more appealing when interest rates are on the rise. As an example, say a seller-financed $200,000 for their home in 2013 at an interest rate of 3.25 percent on a 30-year fixed loan. Using this scenario, their principal and interest payment would be $898 per month. Let’s assume current 30-year fixed rates averaged 4.10 percent. If you financed $200,000 at 4.10 percent for a 30-year term, your monthly principal and interest payment would be $966. Additionally, because the seller has already paid four years into the loan, they’ve already paid nearly $25,000 in interest on the loan. By assuming the loan, you would save $34,560 over the 30-year loan due to the difference in interest rates. You would also save roughly $25,000 thanks to the interest already paid by the sellers. That comes out to a total savings of almost $60,000! There are currently two ways to assume a VA loan. 1. The new buyer is a qualified veteran who “substitutes” his or her VA eligibility for the eligibility of the seller. 2. The new home buyer qualifies through VA standards for the mortgage payment. This is the safest method for the seller as it allows their loan to be assumed knowing that the new buyer is responsible for the loan, and the seller is no longer responsible for the loan. The lender and/or the VA needs to approve a loan assumption. Loans serviced by a lender with automatic authority may process assumptions without sending them to a VA Regional Loan Center. For lenders without automatic authority, the loan must be sent to the appropriate VA Regional Loan Center for approval. This process will typically take several weeks. When VA loans are assumed, it’s the servicer’s responsibility to make sure the homeowner assuming the property meets both VA and lender requirements. The existing loan must be current. If not, any past due amounts must be paid at or before closing. The buyer must qualify based on VA credit and income standards. The buyer must assume all mortgage obligations, including repayment to the VA if the loan goes into default. The original owner or new owner must pay a funding fee of 0.5 percent of the existing principal loan balance. A processing fee must be paid in advance, including a reasonable estimate for the cost of the credit report. There are several ways for home buyers to find an assumable VA loan. Believe it or not, print media is still alive and well. Some home sellers advertise their assumable home for sale in the newspaper, or in a local real estate publication. There are a number of online resources for finding assumable mortgage loans. Websites like TakeList.com and Zumption.com give homeowners a way to showcase their properties to home buyers looking to assume a loan. With the help of the Multiple Listing Service (MLS), real estate agents remain a great resource for home buyers. This applies to home buyers specifically searching for assumable VA loans as well. Whether you’re an active-duty serviceperson, a veteran, a member of the National Guard, a Reservist or surviving spouse of a veteran; or if you’re a cadet at the U.S. Military, Air Force or Coast Guard Academy, midshipman at the U.S. Naval Academy or officer at the National Oceanic & Atmospheric Administration, you may be eligible for a VA loan. Apply for a VA loan via our network of top lenders. VA mortgage rates are low, and get lower the more you shop with the best lenders.